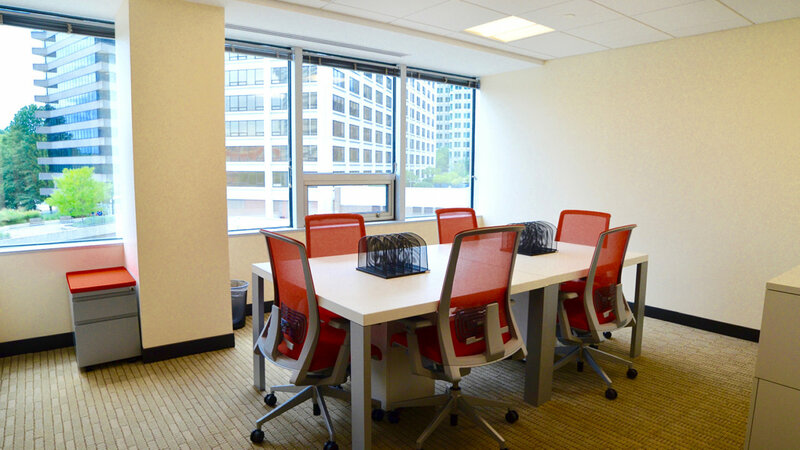 With all the amenities and features of our original location, Rosslyn’s campus puts an emphasis on open spaces, light, and bright colors. 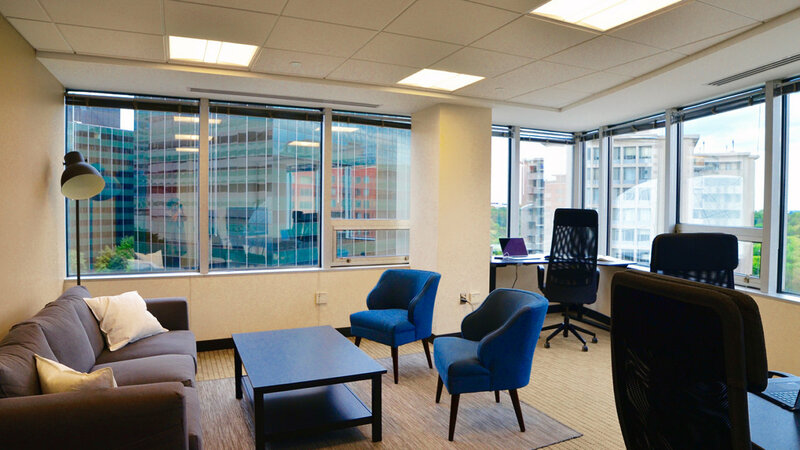 Right across the river from the Department of State and two blocks from the Rosslyn Metro, our Rosslyn location has private offices of all sizes, nooks to escape to get some reading done, and has an expansive coworking area and lounge designed for collaborating with your neighbors, or challenging them to ping pong! There’s always something to do in Rosslyn. Grab a bite at the food trucks that park outside our front door daily, take a stroll through Freedom Park to let out some steam, or work up a sweat in our free state-of-the-art gym. Our affordable coworking option is the perfect fit for young entrepreneurs just entering the federal space. Learn the ropes from those around you and find success in our community. Have a large team? 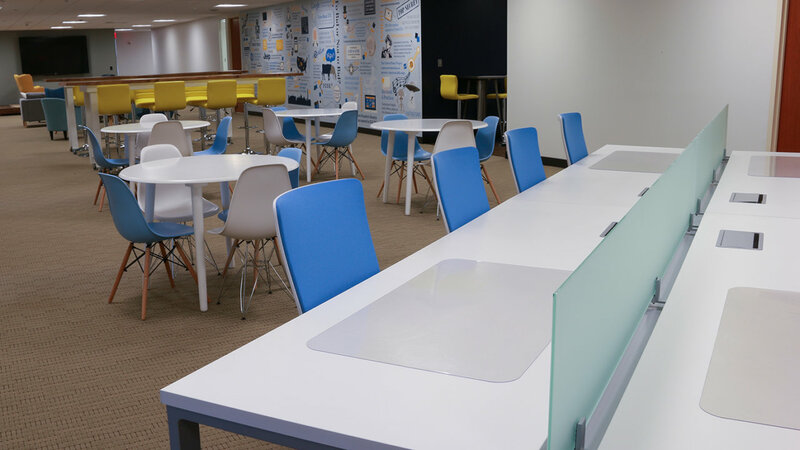 Our offices are perfect for 4-5 people and come fully furnished. Make your office your home, decorate to your heart’s content, a comfortable contractor is a successful one! We know privacy is important for you, your office comes with individual locks to keep your business, your business. We get it: the contracting landscape can be a roller coaster. One minute you’re perfectly content with your three-person business, the next you win a huge contract and need to staff up ASAP. At Eastern Foundry, we work with you as you grow and offer flexible lease terms to meet those needs. Your business will fit anywhere from our hot desk, all the way up to our private suites. Need a change of scenery? 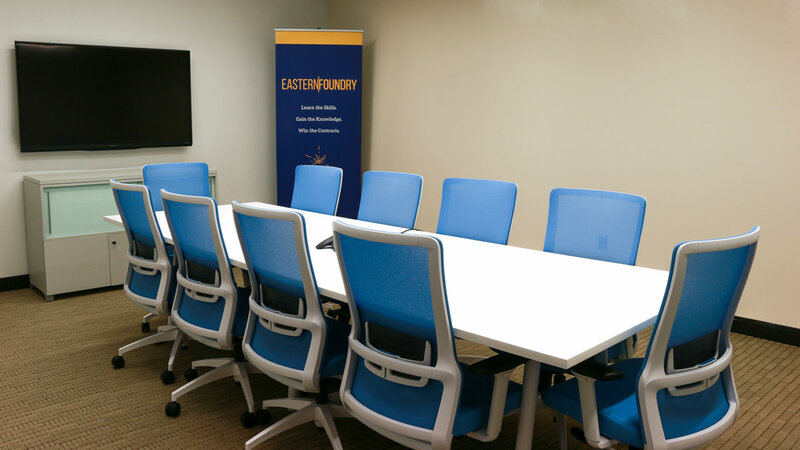 Come spend some time with the Eastern Foundry staff or collaborate with other members in our lounge. Grab a cup of specialty coffee from our “coffee robot”, a cold brew from our coffee keg, or a seltzer from our awesome Bevi machine. 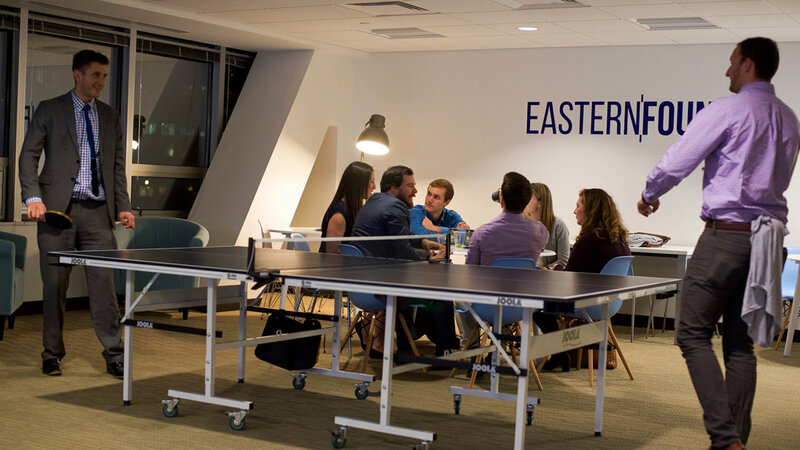 Whether your heads down in that latest report or joking with your friends, you’ll find the perfect spot to hang at our Rosslyn campus. Spend the day white-boarding your ideas, or host that weekly call, we make it easy. Choose from one of our three conference room options which are outfitted with everything necessary to “wow” your customers including TV’s, projectors, conference phones, and plenty of space for the whole team. Our conference rooms are also open to non-members for offsite meetings.